FREEMASONRY TEACHES REINCARNATION AND THE WORKING OF "KARMA", BOTH PAGAN DOCTRINES. IN THEIR OWN WORDS!- Christian Updates - New World Order. .
FREEMASONRY TEACHES REINCARNATION AND THE WORKING OF "KARMA", BOTH PAGAN DOCTRINES. IN THEIR OWN WORDS! We study more of Norman de Clifford's book, "Egypt: Cradle of Ancient Masonry", to discover that Freemasonry teaches Reincarnation and Karma. Then, we shall study the Bible to see what Scripture has to say about these doctrines. 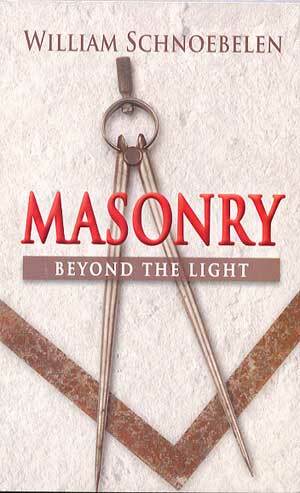 This information is taken from a famous Freemason book, " Egypt: Cradle of Ancient Masonry", 1902, ISBN: 1-56459-524-2. 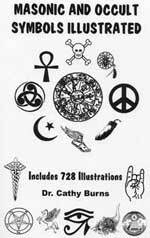 Note that this book is published by Kessinger Publishing Company, a Freemason and Esoteric publishing house, Kila, MT. We encourage you to consult the suggested reading of your local Lodge and you will find this book, and others, from de Clifford. This book is dedicated to Albert Pike, as follows: "ADMIRATION For the memory of our revered Brother, Albert Pike, who made Scottish Rite Masonry what it is to-day. This book is most respectfully dedicated, by the Author." After speaking of the Myth of Osiris, and stating that it formed the basis of the Ancient Egyptian Mysteries [Page 65], de Clifford then begins to speak of "Karma" and "Reincarnation". "Now let us examine the Osirian myth, and take Osiris as the Judge or presiding deity of Amenti, and we shall find that the teachings of our Ancient and Accepted Scottish Rite inform us that he was not a god of vengeance but a god of Truth and Justice. He judged no man, but simply pronounced the sentence that had been adjudged by Thoth, the Divine Nature, or the 'Lord of Karma', after they had been weighed in the balance and their sentence declared to Osiris, who then and there pronounced it. Each and every man's 'higher self' recognized that perfect Justice had been meted out to him. He knew that the acts of his life, in thought, word, or deed, were to be harvested in their effects. It was simply impossible for Osiris in any way to interfere with the Law of Cause and Effect; or, in other words, any man's ' Karma'. When a man's life actions are weighed in the balance, his dues are rendered to him with perfect justice. He has made his own record and he will reap the full effects of it, be it good or evil, and this fact alone shows that 'Man is the master of his own destiny'. What he has sown, that must he also reap, and there is no power in earth or in heaven that can alter his Karma." "Sir Edwin Arnold beautifully illustrates this in 'The Light of Asia'. 'KARMA -- All that total of a soul Which is the things it did, thoughts it had, The self it wove with woof of viewless time Crossed on the ways of invisible acts.' "
Before we go on discussing Karma, we need to mention that just the mention of a "higher self" proves that Freemasonry is New Age, not Christian or Biblical. This "higher self" is the godhead supposedly within each and every person, that "Divine spark" which is only waiting to be discovered by each person. This is totally New Age doctrine, reinforced here by Freemasonry. Karma is tied tightly into the false doctrine of "Reincarnation", a most Pagan and un-Biblical doctrine. As we shall see in the next segment of writing from de Clifford on this subject, Karma is interwoven with Reincarnation. The very fact that Freemasonry teaches Reincarnation and Karma is proof positive that it is NOT Christian. We shall see what the Bible has to say about this subject in a few moments, but let us return to de Clifford's treatment of Reincarnation. "Alas, we sow what we reap; the hand that smites us is our own. In the domain of eternal justice the offense and the punishment are inseparably connected as the same event, because there is no real distinction between the action and its outcome ... linked with the awful fact of our own individual responsibility for what we are now, gives the inspiring assurance that we have under our control the remedy of evil and the increase of good. We can, and we alone can, extricate ourselves from the existing limitations, by the all-curing powers of purity, love, and spirituality. In Eastern phraseology, the purpose of life is to work out our bad Karma (action) and to stow away good Karma. As surely as the harvest of to-day grows from the seed-time of yesterday, so shall every kernel of thought and feeling, speech and performance bring its crop of reward or rebuke. The inherent result of every quiver of the human will continually tolls the Day of Judgment and affords immeasurable opportunities for amelioration." Thus, Freemasonry teaches precisely what the Eastern Mysticism of Hinduism and Buddhism teaches about man's existence and the number of times he incarnates as a human. Eastern Mysticism teaches that man makes many trips through this world, and possibly others, in successive lifetimes. In each lifetime, each man's actions, thoughts, and motives build up either good Karma or bad Karma. Good Karma in one life means that good things will happen to you in successive lifetimes; bad Karma in one life means that bad things will happen to you in successive lifetimes. Thus, when a person is experiencing some bad things in his life, the Pagan believer will just say that the reason he is so suffering is that he is just paying back his bad Karma from a previous life. I do not see any future lives in this scenario, do you? Since some people may say that these spirits that return to God Who created them are just going to remain in His care until the next Reincarnation cycle, let us examine the New Testament Scripture below. 2) Hebrews 9:27, "it is appointed unto men once to die, but after this the judgment". Now, certainly, no one can misunderstand any more. The Bible clearly teaches this fact, that each person has but one life to live, and after that the Judgment. Let us finish by looking at the Final Judgment. Revelation 20:12-15, "And I saw the dead, small and great, stand before God; and the books were opened: and another book was opened, which is the book of life: and the dead were judged out of those things which were written in the books, according to their works. 15 And whosoever was not found written in the book of life was cast into the lake of fire." In verse 12, we see that every unsaved person, no matter what station they occupied in their life, stands before God. This statement alone, will tell you that Reincarnation is not possible. For, in the Pagan false doctrine of Reincarnation, a person will have many, perhaps hundreds of lives. They will be a person of renown in one life and a person of no means or influence in another life. So, at the Judgment Seat, which position would they occupy, the position of "small" or "great"? Obviously, this verse strongly implies that a person will have lived just one life, and will stand before the Judgment Seat based on that one life. In verse 13, we see that "death and hell delivered up the dead which were in them". What this means is that the disembodied spirits of the unredeemed people, who had been languishing in the temporary state of imprisonment and punishment from the moment of their death until this Judgment, will be released to stand before Judgment. This verse can only mean that each person has only one lifetime to live, and then will go to a temporary holding place until the time comes for Jesus Christ to judge them on the Final Day of Judgment, described in this passage. You can read the account Jesus gives us of this temporary holding place of imprisonment and punishment of the spirits of the unsaved in Luke 16:19-31. In this Parable, given by Jesus Christ Himself, demonstrates that both the rich man and Lazarus were in their eternal state based upon the one life they had led! Finally, the very idea of Karma terribly violates the Blood Sacrifice of Jesus Christ and of the doctrine of judgment for the unredeemed. The person who repents of their sin, and who accepts the Substitutionary Blood Sacrifice of Jesus Christ, has all his sins are forgiven and forgotten. There is no longer any mention of sin in that person's life. Thus, there can be no Karma for the Redeemed. In this Sacrifice of Jesus Christ, guilt is truly turned into innocence, and a person's sin will be no longer remembered any more against them! This is the Good News of the Gospel of Jesus Christ! But, for the unredeemed, Karma is impossible for them because of Hebrews 9:27, Luke 16:19-31, and Revelation 20:12-15. Even though Karma is totally un-Biblical and anti-Christian, Pagans in every age and every nation have believed it. Karma is Satan's lie straight from the Pit of Hell! Yet, Freemasonry teaches it wholeheartedly. Freemason author, Norman de Clifford here even ascribes this teaching of Karma to Hinduism and Buddhism. You cannot get more clear than that! Once again, from the words of Freemason authors themselves, we see that Freemasonry cannot ever be considered to be "Christian". Now is the time for all people who are Christian pastors, deacons, Sunday School teachers, or in any other capacity within a Christian Church to realize the un-Christian nature of Freemasonry and come out of it NOW! Remember our Lord's final warning given to people who are participating in evil and corrupt activities.